The period before the founding of the second factory in the town of Zell am Harmersbach had seen a lot of changes as can be seen when viewing the history of the first factory that opened there and which by now had become the ⇒Zeller Steingut- und Porzellanfabrik C. Schaaff. Expanding industry in the area lead to the founding of a second factory for stoneware products in 1859, directly at the town gate in the Biberach direction of town and as the older factory was located on higher ground, the new factory quickly became known as 'Lower Factory'. 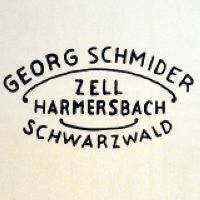 One of the partners of the new company was a former employee of ⇒Haager, Hoerth & Co., Georg Schmider, who eventually took over all shares in 1897. Shortly after Schmider took over the works the well-known artist Elisabeth Schmidt-Pecht designed the 'Favorite' series for Schmider and continued to sporadically work for him until 1914. Even if 'Favorite' was very successful indeed it could not beat a design which evidently changed the whole industry in and around Zell am Harmersbach: the 'Hahn und Henne' (rooster and hen) decoration was created in 1898 by chief decorator Karl Schöner to commemorate the birth of his daughter and it became the most famous decoration style from the area - in fact, it is still the most used decoration style even today. Success was overwhelming and Schmider had to drastically increase his production capacity to cover demand, so he took over the company of Schaible & Co. (founded 1872), directly followed by Haager, Hoerth & Co. (founded 1818) in close succession during 1898 and renamed his company into the Vereinigte Zeller Fabriken. In 1899 both the Upper and Lower works were slightly damaged by a massive fire that broke out in the middle of the town, only to be followed by another blaze in 1904. But Schmider was not put off easily as his products were a constant success and in 1907 he was finally able to take over the 'Upper Factory' from the Carl Schaaff company. 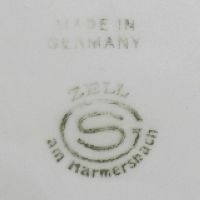 Over the years the items from the Zell works were exported to Africa, Austria, Belgium, Canada, Denmark, Holland, France, India, Italy, Norway, Romania, Sweden, Switzerland and the United States. But not only self-marked items were sold; apparently quite a few goods were also sold as unbranded or customer-branded ware. 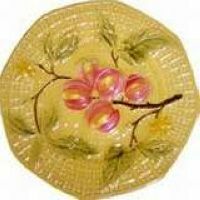 One example would be from the period between 1907 and 1928 when the company sold at least one series of decorated but unmarked plates to the US importer ⇒L.D.B. 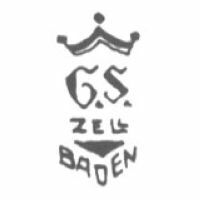 & Co. from New York who also ordered items from a few other German companies like the ⇒Porzellanfabrik Moschendorf A.G.. An example for the Vereinigte Zeller Fabriken mark can be found in the marks section below. The 'Favorite' and 'Rooster and Hen' series where just a start and backed by full order books the factory reached its peak number of 500 employees in 1925. During this extremely successful period Schmider had a helping hand in his son-in-law Heinrich Haiss. Young Mr. Haiss was everything Schmieder (who only had a daughter) could dream of. He was an intelligent businessman with the right feeling for the market and what impressed Schmider most was that instead of constantly explaining something again and again, Haiss would rather take off his jacket and show the people what he meant or how something should be done which of course earned him a lot of respect with the factory workers. It did not take long and Schmider made Haiss director of the factory and left everything in his hands. 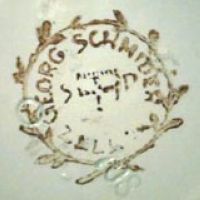 Staying in the background for his last years, Schmider died in 1934. Haiss who later introduced his son Günter Haiss to the trade successfully managed the following years and even the war years were extremely successfull, especially when taking in mind that production had to be stopped during 1942 because no raw materials could be aquired. 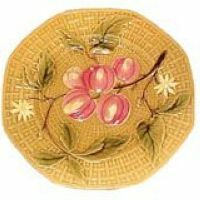 1942 also was the year in which it was decided to discontinue porcelain production generally and after restarting production in 1946, the factory only produced cheap single-colored pieces. Finally in 1963 the former Upper Factory was closed down and production completely taken over by the modernized Lower Factory. Until 1988 the business was in the hands of Schmider and Haiss descendants and then nearly vanished, but in 1990 the business was taken over by the real estate company Herbert Hillebrand Baubetreuungs- und Grundbesitz ⇒K.G. 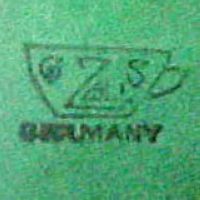 Interestingly enough, the Hillebrand company also owned the facilities of ⇒Weimar Porzellan G.m.b.H. 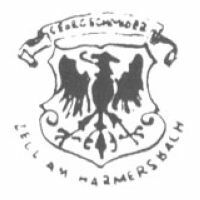 in Blankenhain and the ⇒Wallendorfer Porzellanmanufaktur G.m.b.H. in Wallendorf. But the so-called Hillebrand Group went bankrupt and was broken up in 1994. The factory went through some hard times until the remaining Hillebrand K.G. was able to re-structure the company. 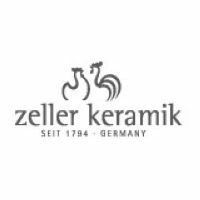 Since 1997 the business is known as Zeller Keramik Geschwister Hillebrand ⇒G.m.b.H. and is fully operational. The Haiss manor today houses the porcelain museum and offers enough room for other art-related or historic displays. 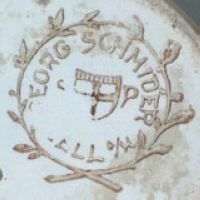 It is often claimed that the initials 'S' and 'P' in some marks stand for Schmidt-Pecht, but as these initials can be found on products made in the former Haager, Hoerth & Co. factory and on items definitely not designed by her. 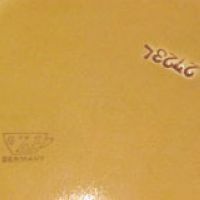 In fact a brochure released by the Vereinigte Zeller Fabriken states that it simply stands for 'Steingut und Porzellan'. 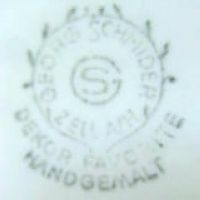 The first mark used by Schmider, registered at the ⇒R.W.Z.R. as №·25·970 on August 14th 1897. Also introduced 1897 but apparently used up until 1925, 'G. 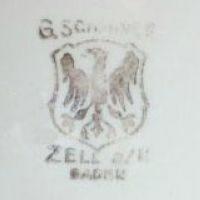 SCHMIDER' over an eagle on a shield over 'ZELL A/H' over 'BADEN'. Another example of the same mark, 'G. 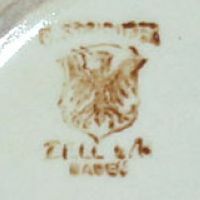 SCHMIDER' over an eagle on a shield over 'ZELL A/H' over 'BADEN'. 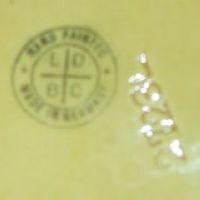 Used between 1898 and 1928, registered at the ⇒R.W.Z.R. as №·32·440 on August 23rd 1898. Used between 1898 and 1928, another example. Undated example, this time without flanking 'S P'. Found on an item from the 'OLD STRASSBOURG' series. 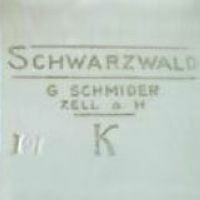 Used around 1900, decoration name 'SCHWARZWALD' over 'G. 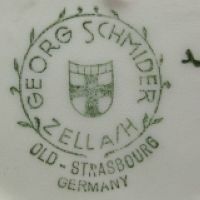 SCHMIDER' over 'ZELL A/H'. Used between 1907 and 1928, here a slightly different version showing 'DEKOR FAVORITE'. Used between 1907 and 1928. Used between 1907 and 1928, stamped version with the addition 'GERMANY'. Registered at the ⇒R.W.Z.R. as №·104·648 on January 29th 1908. 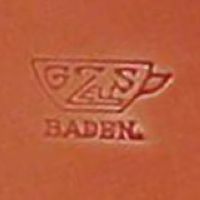 Used between 1907 and 1928, here an example of the impressed version with the addition 'BADEN'. 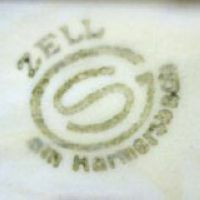 ... with the Zell cup mark and the impressed number '2723L'. ... only this time with the New York importer ⇒L.D.B. & Co. mark next to the impressed number '2723L'. 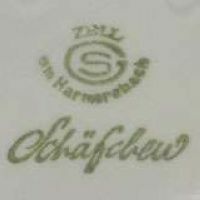 Used around 1924 on porcelain only, here with 'SCHWARZWALD' series name addition. Registered at the ⇒R.W.Z.R. as №·402·739 on May 13th 1929. 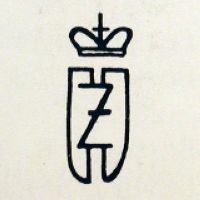 Used from 1933 onwards, 'ZELL' over initials 'G' and 'S' over 'AM HARMERSBACH'. 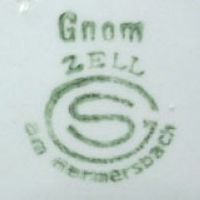 Used from 1933 onwards, standard mark together with the decoration name 'GNOM' (Gnome). 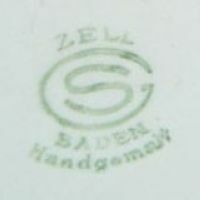 Used from 1933 onwards, variation with the addition 'BADEN' over 'HANDGEMALT'. Used from around 1960, here with 'MADE IN GERMANY' addition. 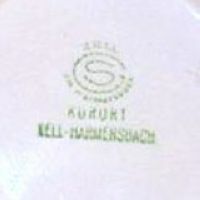 Used from around 1970, here with the addition 'KURORT ZELL-HARMERSBACH' ('KURORT' means health resort or spa). 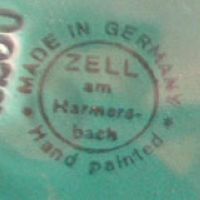 No date known, 'ZELL AM HARMERSBACH' surrounded by 'MADE IN GERMANY' and 'HAND PAINTED'. Mark and company logo from 1997 onwards.